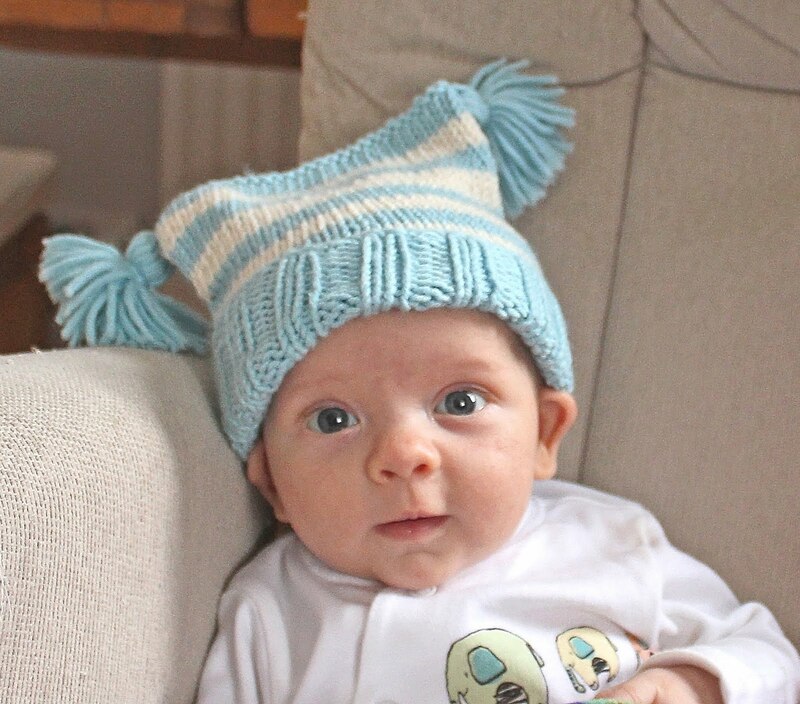 I've been meaning to publish the pattern for this simple little baby hat for ages. Well, today is the day that I've finally got round to it! This hat was the very first thing that I made for my little Microboy while he was still resident in my belly. It was an improvised project to use up some leftover aran weight yarn and to exercise my yen for tassels. 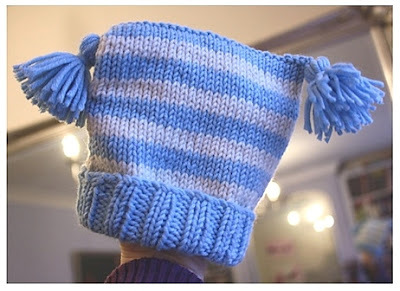 But the resulting hat turned out so cute that I decided to write up the pattern in case anybody else fancies having a go.